Tinubu's endorsement of Sanwoolu was announced by some APC leaders led by national leader's close ally, Cardinal James Omolaja Odunmbaku. Baba Eto, according to an inside source brought Mr. Jide Sanwoolu to a meeting held last night with some prominent leaders and stakeholders in APC at an undisclosed venue. 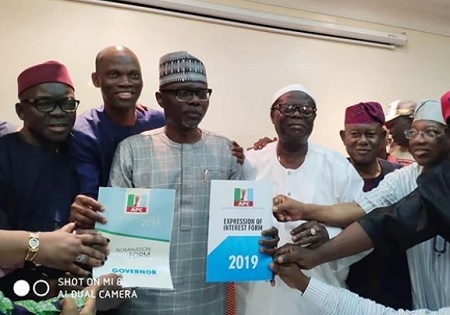 Meanwhile, Jide Sanwoolu, yesterday picked the nomination foorm to contest for the Lagos State Governor under the APC. Meanwhile, News Proof has reliably learned that Conference 57, which comprises all the 57 Council Chairmen in Lagos State has also endorsed Sanwoolu.